"Lost Egypt" 's official poster. 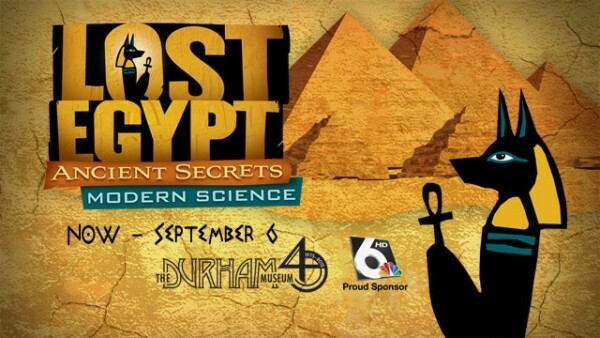 Lost Egypt found in Omaha (USA) through a summer exhibition focusing on the modern science behind Egypt’s greatest mysteries. Lost Egypt: Ancient Secrets, Modern Science shows how today’s science and technology can throw light to certain aspects of ancient Egypt’s culture and everyday life. The exhibition’s developers traveled to Cairo and Luxor to work with and learn from some of the world’s foremost authorities on Egypt who are featured in the show. The result is a close-up on archaeology of Egypt but also the method of archaeological work, including how science changes over time as new techniques are developed and new information is uncovered. Through Lost Egypt, the audience is invited to “discover” a real human mummy, animal mummies, scans, forensic facial reconstruction and – for the first time ever – three life-size rapid prototypes, displaying the mummy in various stages of “unwrapping.” Visitors can also experience a re-creation of an Egyptian tomb and authentic art and artifacts from the daily life and funerary culture of ancient Egypt. The exhibition is running since May 23 but lasts through September 6 at The Durham Museum, Omaha, USA.